I`ve always been inspired from children. Children remind us what it`s like to be happy with the simple things in life. They encourage us to keep our chin up, and laugh as much as we can. They inspire us to show our emotions and to cry – they show it`s important and healthy way to do, and we should never ashame it. Children teach us how to love and trust, they enjoy the moment and take the best of it. As we get older we should never loose our inner child and that`s my purpose of giving children yoga classes. To encourage kids to follow their dreams and to show them we are all perfectly imperfect. My spiritual name means the bliss that results from singing. Anand means bliss. Geet is song or singing. With my name I allow to bring the music of celestial ecstasy to the hearts of all those around me. I`m a mother to an amazing 7 year old girl and together we have flown through the beautiful moments and great challanges. I became a children`s yoga teacher in 2015 and through that training my life totally changed, I found my hidden inner child and I started to trust my intuition again. I felt the old path didn`t serve me anymore and I needed something new. In 2016 me and my little girl moved to the other side of the world to New Zealand and we spent there one year. Amazing journey took us to the spectacular nature and we met lots of beautiful, new souls. I came to understanding that it doesn`t matter where you are, people and their issues are everywhere the same – when you are happy inside, you are happy everywhere. In New Zealand I got an awesome opportunity to teach yoga to the children in the local school and in a preschool. I created a Unicorn Kids Yoga classes which is friendly and fun-oriented place for children. We learn how to use our body,soul and mind which help us become confident adult. The unicorn is part of the world of nature and part of the world of dreams – and completely of the heart. They symbolize the spirit of purity, innocence and childhood. 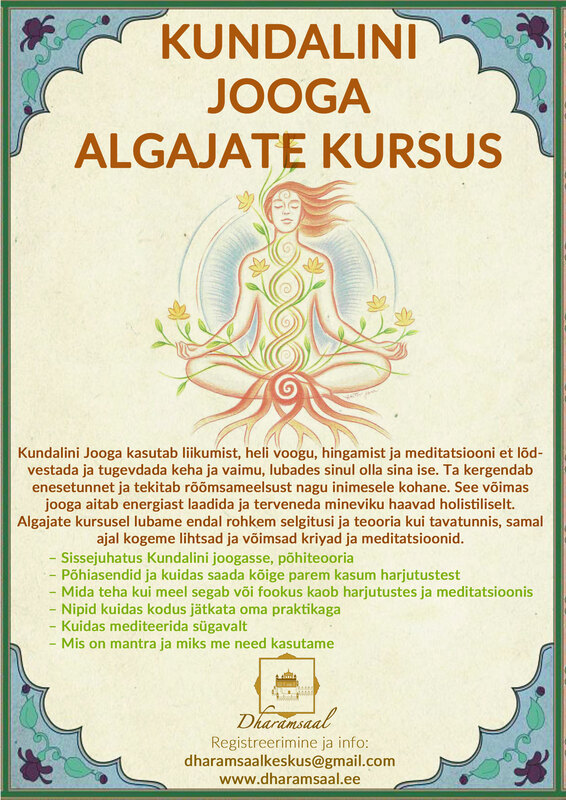 Today we are back in Estonia and my big wish is to teach children`s yoga in English. As we know a second language offers proven benefits for intelligence, memory, and concentration and it would be great to connect it with yoga. HOW DOES YOGA HELP KIDS? HOW IS YOGA CLASS BUILT UP? To our class I`m waiting all the children between age 6-10 who want to be part of that fun time. Classes do not require previous language knowledge so feel free to join us. Children Yoga classes take place every Tuesday from 3 p.m – 4 p.m and the first class starts 4th of the April. The cost of the class is 7€ and it lasts for 1 hour.